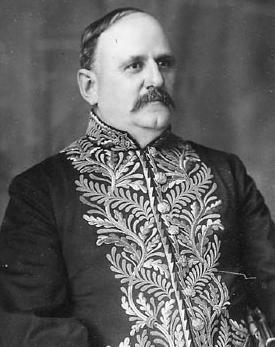 BULYEA, GEORGE HEDLEY VICARS, businessman, politician, and lieutenant governor; b. 17 Feb. 1859 in Gagetown, N.B., son of James Albert Bulyea and Jane Blizzard, farmers; m. there 29 Jan. 1885 Annie Blanche Babbit; d. 22 July 1928 near Peachland, B.C. G. H. V. Bulyea’s parents were both of loyalist descent. He was educated at the grammar school in Gagetown and at the University of New Brunswick, graduating in 1878 with a specialization in mathematics and French. He taught at the Sheffield Academy from 1878 to 1882, after which he went west to Winnipeg and then in 1883 to Qu’Appelle (Sask.). There he engaged in varied business enterprises, including selling furniture and insurance and dealing in grain, flour, and feed. By 1886 he was a school trustee, a founding member of the South Qu’Appelle Agricultural Association, and treasurer of the local council of the Royal Templars of Temperance; in 1888 he was president of the Northwest Prohibitory Alliance. In religion he was a Baptist. His wife, Annie, would later be heavily involved in the Woman’s Christian Temperance Union and Baptist Ladies’ Aid of Regina, and she served as president of the Local Council of Women there from 1901 to 1905. Their only child, Percy McFarlane Bulyea, died aged 15 in 1901. 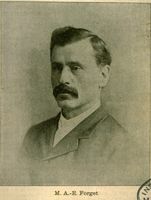 Bulyea ran for the South Qu’Appelle seat in the Legislative Assembly of the North-West Territories in 1891, but lost; he was, however, successful in 1894, and was re-elected in 1898 and 1902. He served in the government of Premier Frederick William Gordon Haultain* from 7 Oct. 1897, first as a non-resident member (essentially a minister without portfolio) and then, from January 1898, as Yukon commissioner. 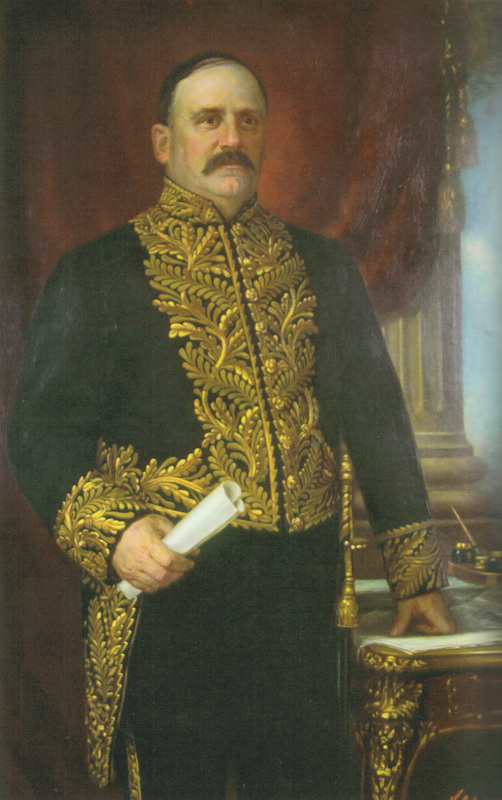 He was appointed commissioner of agriculture and territorial secretary on 12 Jan. 1899, and on 4 Feb. 1903 he became commissioner of public works, a position he held, while remaining territorial secretary, until 1905. He was a partisan Liberal in federal politics and a strong advocate of territorial rights: as early as 1890 he had argued that a council responsible to the assembly should control spending both of the territorial revenues and of the annual federal grant. By 1897 responsible government had been achieved, but the territorial government faced rapidly growing demands for services as a result of national policies to settle the west. The size of the federal grant never kept pace with the pressures on the local government, and the resulting tension fuelled a popular demand for full provincial status. Bulyea himself was in a stressful situation. On the one hand, he was loyal to the federal Liberals, was one of their principal organizers in the District of Assiniboia, and was anxious that the local government, officially non-partisan, not be in conflict with Ottawa. On the other hand, as a member of the territorial government he was acutely aware of the difficulties resulting from federal underfunding of the region, and he knew how popular the provincial rights cry of Premier Haultain was. 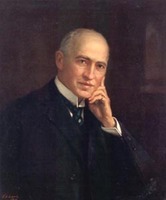 Haultain identified himself more and more publicly with the federal Conservative party, particularly after opposition leader Robert Laird Borden* took up the territories’ cause in 1902. Bulyea accompanied Haultain to Ottawa early in 1903 to push the autonomy issue, but later that year and in 1904 he appeared to fall out with his leader when he suggested that additional funds and the authority to charter railways would satisfy much of the demand for provincial rights. Haultain and Bulyea represented the territorial government during negotiations in Ottawa on provincehood in January and February 1905. Bulyea supported, in particular, the revised education clause of the Autonomy Bills as it emerged following the resignation of Clifford Sifton from Sir Wilfrid Laurier*’s cabinet, believing that it could be defended among western Liberals. On 25 July the prime minister, having concluded that Haultain’s public antagonism to aspects of the settlement precluded his being given a position, offered the lieutenant governorship of the new province of Alberta to Bulyea (the Saskatchewan office went to Amédée-Emmanuel Forget). “Your long and faithful services to the party,” wrote Laurier, “entitle you to the best that may be in the gift of the party.” Bulyea accepted, and was sworn into office when the province came into being on 1 Sept. 1905; he was reappointed to a second five-year term on 5 Oct. 1910. The duties of a lieutenant governor normally were largely ceremonial. On 24 Nov. 1905 Bulyea drove the last spike on the Canadian Northern railway to Edmonton; on 15 March 1906 he opened the first session of the first Alberta legislature in the Thistle Rink in Edmonton. 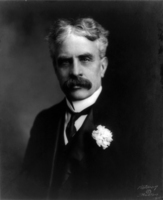 He was granted the lld degree in 1908 by both the University of Alberta and his alma mater. Two years later he was drawn into activities of a different kind when the Liberal government of Alberta’s first premier, Alexander Cameron Rutherford*, began to unravel in light of the scandal surrounding an ineptly drawn contract to build the Alberta and Great Waterways Railway [see Charles Wilson Cross]. Bulyea told Laurier in February that “a scapegoat or scapegoats” would have to be found, and hoped that “no serious effects or rather injury will accrue to the Liberal party.” It soon was clear that the scandal would claim the premier, and Bulyea, Laurier, and Senator Peter Talbot, president of the Alberta Liberal Association, engaged in a search for a replacement who could unite the badly divided government caucus. Finally, they agreed upon Chief Justice Arthur Lewis Watkins Sifton. 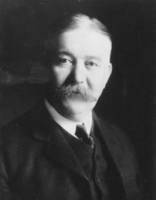 Bulyea informed the legislature on 26 May 1910 that he had accepted Rutherford’s resignation and had called on Sifton to form a government; he prorogued the legislature to allow Sifton time to get elected and to consolidate his government. The opposition howled in rage at this “unconstitutional” procedure; even Bulyea told Laurier, “I am afraid that I had to do a few things that a L.G. is not supposed to do but I think I was justified by results and in proroguing the house I had the support both of the outgoing and incoming premiers and needless to say practically all of the members of the House.” His remaining years in office were relatively uneventful. 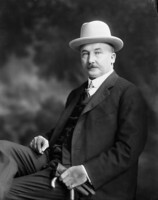 After his retirement as lieutenant governor in 1915, when he was succeeded by Robert George Brett, Bulyea was appointed on 20 October chairman of the Board of Public Utility Commissioners in Alberta, a position he occupied until 1 May 1923. He died at his ranch near Peachland, B.C., on 22 July 1928 and was buried at Qu’Appelle five days later. 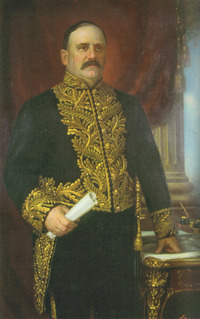 A portrait by Victor Albert Long hangs in the Legislature Building in Edmonton. LAC, MG 26, A; H. PAA, PR1966.93/8; PR1969.42. Univ. of Alta Arch. 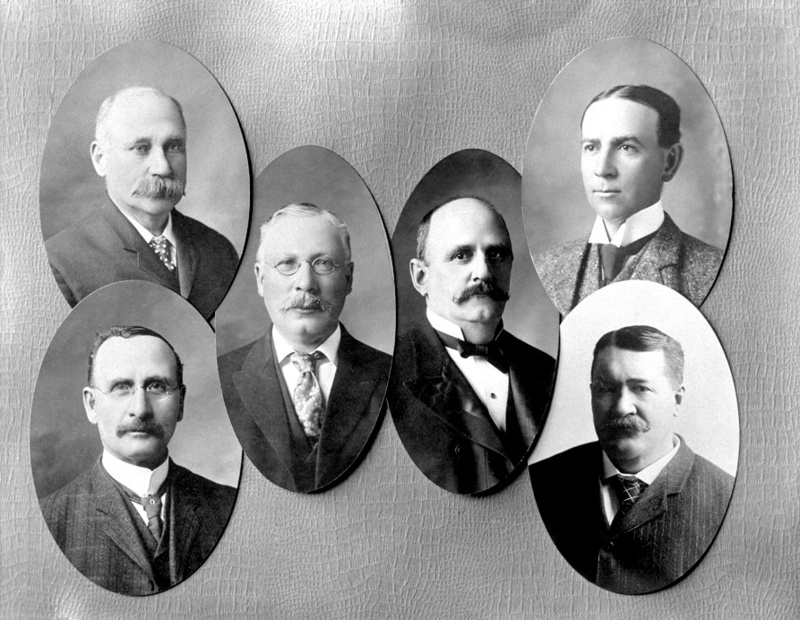 (Edmonton), file 2315-5 (honorary degree recipients); A. C. Rutherford fonds. Calgary Herald, 23 July 1928. Edmonton Journal, 23 July 1928. Qu’Appelle Progress (Qu’Appelle, later called Qu’Appelle Station [Qu’Appelle, Sask. ]), 1885-86, 1889; continued as Progress, 1899. Alta, Board of Public Utilities Commissioners, Annual report (Edmonton), 1915/16-23. Alberta in the 20th century: a journalistic history of the province, [ed. Ted Byfield et al.] (12v. to date, Edmonton, 1991-? ), 2-3. F.-J. Audet, Dictionnaire biographique des gouverneurs, lieutenants-gouverneurs et administrateurs du Canada et de ses provinces, 1604-1921 (2v., s.l., s.d.). D. R. Babcock, Alexander Cameron Rutherford: a gentleman of Strathcona (Calgary, 1989); “Autonomy and alienation in Alberta: Premier A. C. Rutherford,” Prairie Forum (Regina), 6 (1981): 117-28. John Blue, Alberta, past and present, historical and biographical (3v., Chicago, 1924), 1. Canadian annual rev., 1901-28. Canadian men and women of the time (Morgan; 1912). CPG, 1901-15. Cyclopædia of Canadian biog. (Rose and Charlesworth), vol.3. Directory of the Council and Legislative Assembly of the North-West Territories, 1876-1905 (Regina, 1970). D. J. Hall, Clifford Sifton (2v., Vancouver and London, 1981-85). J. S. Heard, “The Alberta and Great Waterways Railway dispute, 1909-1913” (ma thesis, Univ. of Alta, 1990). C. C. Lingard, Territorial government in Canada: the autonomy question in the old North-West Territories (Toronto, 1946). J. G. MacGregor, A history of Alberta (Edmonton, 1972). A. O. MacRae, History of the province of Alberta (2v., [Calgary], 1912), 1. Howard Palmer with Tamara Palmer, Alberta: a new history (Edmonton, 1990). The parliamentary guide and work of general reference for 1898-9 . . . , ed. A. J. Magurn (Winnipeg and Ottawa, 1898). J. T. Saywell, The office of lieutenant-governor: a study in Canadian government and politics (Toronto, 1957; repr. 1986). Univ. of Alta, Calendar (Edmonton), 1908/9-1910/11. David J. Hall, “BULYEA, GEORGE HEDLEY VICARS,” in Dictionary of Canadian Biography, vol. 15, University of Toronto/Université Laval, 2003–, accessed April 26, 2019, http://www.biographi.ca/en/bio/bulyea_george_hedley_vicars_15E.html.